"From the classic fairy tale. Cinderella's stepmother and stepsisters won't let her go to the Prince's ball. Her fairy godmother appears and transforms her rags into a magnificent balldress. 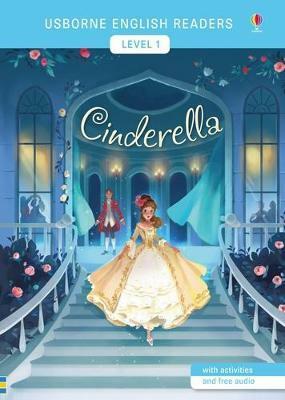 The Prince falls in love with the stranger, but she disappears at midnight, leaving one glass slipper behind. The Usborne English Readers series is a new range of graded readers in simplified English for younger learners. They include activities, glossaries and a full audio recording of the text in both British English and American English."